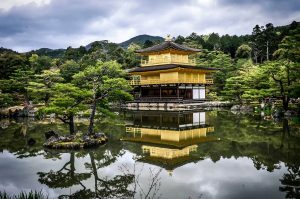 Japan’s market for CBD products is growing almost 100% year-over-year, according to one executive, and international companies are capitalizing on that growth. The latest market entrant is Phivida Holdings, headquartered in Vancouver, British Columbia. Phivida sent its inaugural shipment of tinctures featuring cannabidiol to Japan earlier this week in advance of a planned national rollout. The products were shipped from its U.S. subsidiary, which operates farms in Colorado and manufacturing centers in both Colorado and California. Asayake, an importer and distributors of CBD products in Japan, will sell Phivida’s natural health products (oils and capsules) online to consumers through a nonexclusive distribution deal. “We’re also looking at a couple new product brands that will be very targeted toward the Japanese market, including one beverage brand that will have a Japanese name. We’ll be moving to beverages once we build up our core segment,” John Belfontaine, president of Phivida Holdings, told Marijuana Business Daily. “We’re talking about a 20 billion Canadian dollars to CA$30 billion ($15.4 million to $23.1 million) industry for functional foods and natural health products in Japan that’s highly underserved, yet very highly informed. Their consumers are very aware of plant medicine,” Belfontaine said. Phivida will open an office in Tokyo to facilitate its entry into the market. The company joins Elixinol Japan, which has been importing CDB products since 2016. Elixinol Japan CEO Makoto Matsumaru said the company’s revenue is up 94% on-year. Phivida’s shares are traded on the Canadian Securities Exchange under the symbol VIDA. Elixinol Global (Elixinol Japan’s parent company) is traded on the Australian Stock Exchange under the symbol EXL. my son suffers from epilepsy… we live in japan his entire lufe… regular meds seem to help but would cbd oils non euphoric help him more and how canni legally get them?